Cygnett has launched its latest ChargeUp Boost Portable Power Bank range. The brand claim that the Boost range’s Smartchip technology means the power bank can charge devices up to 50% after than other power banks. The power banks also feature dual USB-A ports, so users can charge multiple devices on the go. 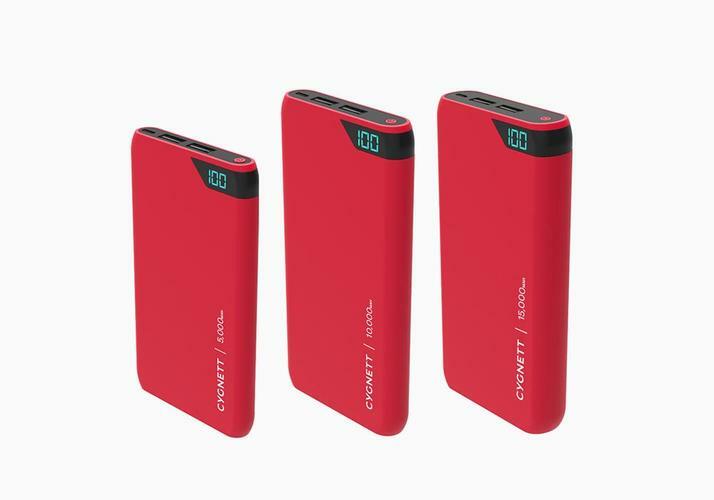 Cygnett’s ChargeUp Boost Portable power Bank range is also available in 10,000mAh and 5,000mAh. According to Cygnett, the ChargeUp Boost 15,000mAh Power Bank is powerful enough to charge a smartphone up to five times before needing to be recharged. ChargeUp Boost 15,000mAh, 10,000mAh and 5,000mAh Portable Power Banks are available in Black, Red, Lilac or Navy. The ChargeUp Boost 15,000mAh Portable Power Bank is available for $79.95. The 10,000mAh Power Bank is available for $59.95 and the 5,000mAh Power Bank is available for $39.95. For more information, visit https://www.cygnett.com/.